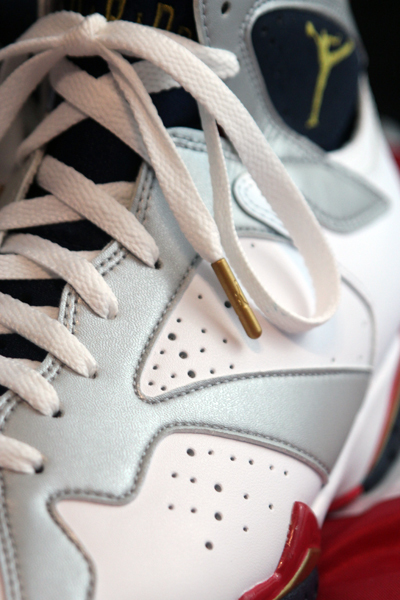 Scheduled to return just days before the start of the 2012 London Summer Olympics, today brings us an all around look at the '92 Olympics Air Jordan 7 Retro. 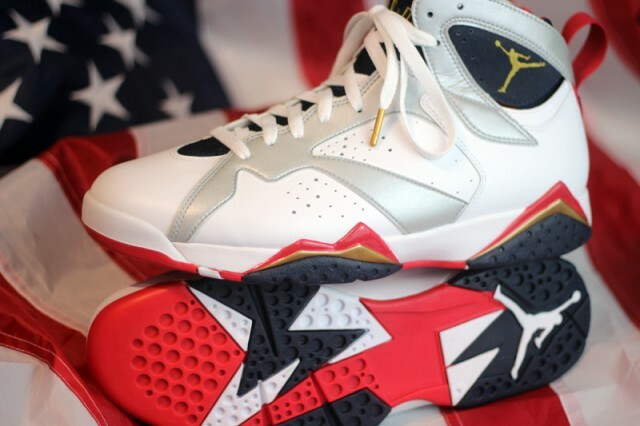 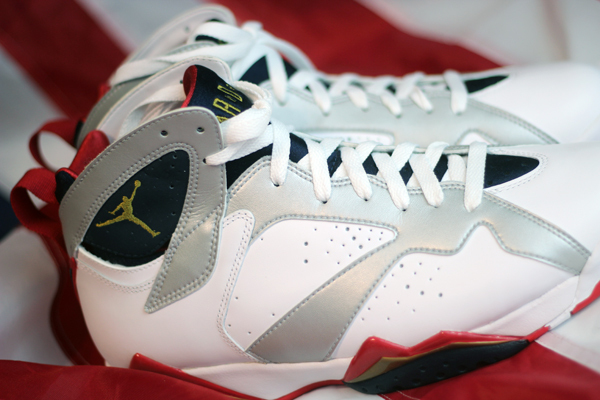 Originally worn by Michael as a member of the '92 "Dream Team" during their dominance of the Barcelona summer games, the "Olympic" Air Jordan 7 Retro returns identical to it''s debut version. 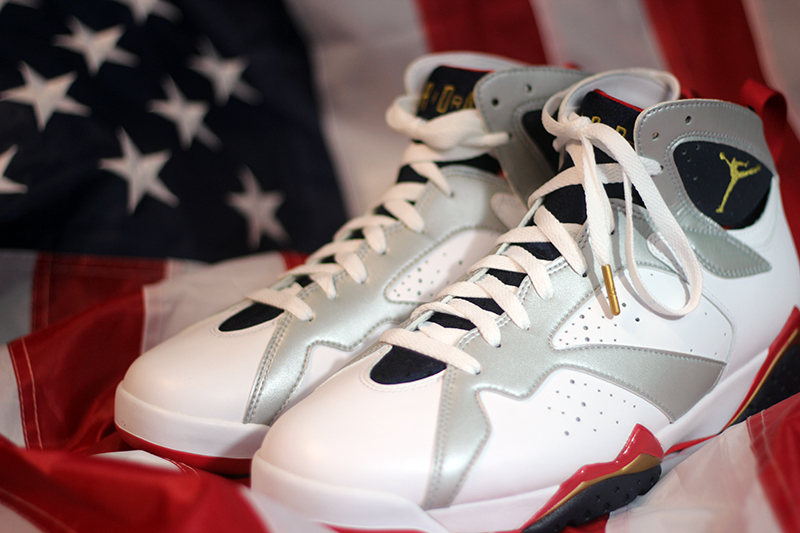 We see a white leather build with metallic silver overlays, while true red, obsidian and metallic gold complete the iconic USA colorway along the midsole, inner bootie and outsole. 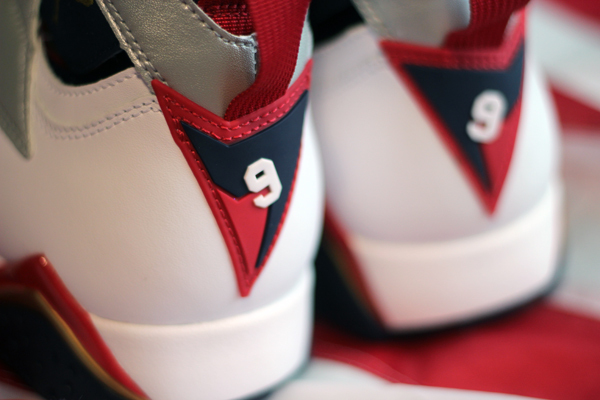 MJ's Olympic jersey number 9 also takes it's usual place on the heel. 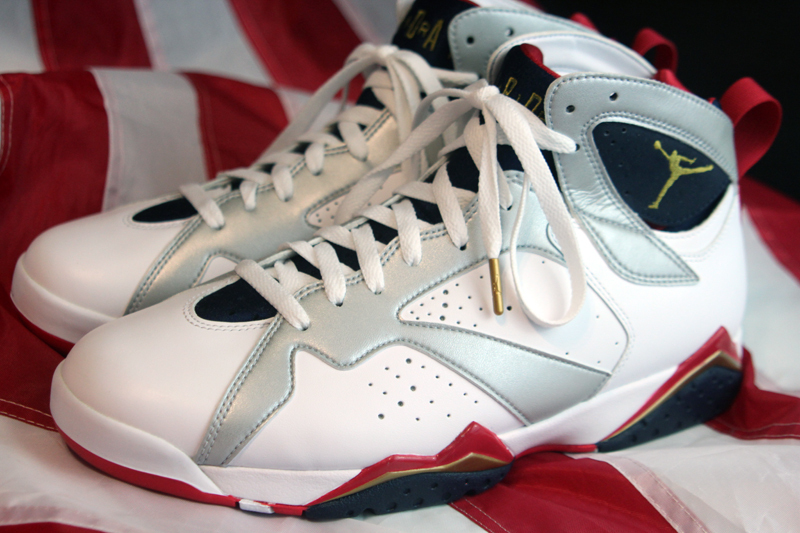 The "Olympic" Air Jordan 7 Retro is scheduled to release Saturday, July 21st at select Jordan Brand accounts nationwide.